Location: 50 km/31 Miles SW of Melbourne City centre & 16 km/10 Miles NE of Geelong. Airport Overview: Only one airline operates at this airport at present: Jetstar. The Jetstar terminal is well signed and is made up of separate departure and arrivals terminal buildings, 3 mins walk apart. By Road: To Melbourne CBD 57 km/36 Miles/35-45 mins. By Taxi: To Melbourne City centre A$60-70/35-45 mins. Silver Top Taxi Tel 131 008. Geelong Radio Cabs (03) 5278 8888. Bay City Cabs 132 227. Sita Coach to Melbourne: Sita Coach runs services services between Avalon Airport, Werribee RSL and Southern Cross Station in Melbourne CBD. Route: Avalon Airport - Werribee RSL (Synnot St) - Melbourne CBD (Southern Cross Train station basement). Timings: Buses meet all flights at Avalon airport. Buses depart the airport at 0900 (daily), 1450 (daily), 2040 (not Tue or Sat), 2210 (daily) & 2350 (daily). Buses arrive at Werribee after 30 mins, Melbourne CBD after 60 mins. Buses leave Melbourne CBD (Southern Cross Transit Station) at 0400 (daily), 0700 (daily), 1330 (daily), 1830 (not Tue or Sat) & 2020 (daily). Buses leave Werribee 30 mins later. Timings are subject to change. See here for latest details. Cost: To Southern Cross Station, Melbourne Adult one way $22, return $42. Child (4-14) one way $10. Contact: Tel (03) 9689 7999. On-Airport Rental Car Providers: AVIS (03) 5227 9833, Budget (03) 5227 9844, EUROPCAR, Hertz & Thrifty (03) 5227 9822, all have desks in arrivals. Car Parking: The car park is right outside the terminals. 30 mins $2, 1 hour $4, 2 hrs $6, 4 hrs $8, more than 4 hrs $10, 1 day $15, subsequent days $6. Notes: ATMs/Cash Machines in both departures and arrivals buildings. Hotel booking board in arrivals. Updated Dec13 ADV. Last Visit Aug06. Location: 11 km/7 Miles NNW of the city centre (CBD). By Taxi: To the city centre ~$35/15-20 mins. By Tram: Tram #59 runs from close to the airport to Flinders St Station in the city centre. Notes: This airport is for general aviation only and has no scheduled passenger services. Location: 22 km/14 Miles SE of Melbourne city centre (CBD). By Tram: A tram runs from the city centre to nearby Moorabbin town. Rental Cars: Budget (03) 9241 0444 is at 73 Northern Ave.
Notes: Apart from TasAir services to Tasmania & King Island Airlines, this airport is for general aviation only and has no other scheduled passenger services. Location: 23 km/14 Miles NW of the City center. Airport Overview: 4 terminals all close together within walking distance. T1 is Qantas Domestic, QantasLink & JetStar domestic, T2 is International & T3 is Virgin Blue & Rex. Tiger Air also now flies out of a dedicated, but very basic building known as Terminal 4. All the terminals are joined together and are easily walked between, except for T4. To get to T4, exit T3 and follow the signs for the Tiger Airways Terminal (5 mins walk in the open air). General: Taxis wait outside all terminals. A $2 taxi parking fee now applies at the Airport. This $2 per vehicle fee only applies to passengers leaving Melbourne Airport from a taxi rank. A $3 per vehicle pre-booked taxi fee also applies for passengers catching a taxi from the Premium Parking area opposite the Intl Terminal. All taxis accept credit cards. Beware of unlicensed taxis. Pre-paid taxi fares: As a security measure, passengers taking taxis ibn Melbourne at night (2200-0500) will be required to pay the driver an estimated fare before beginning any journey. Balance is payable on arrival. Tolls extra. Meter Basis: Up to 4 passengers: Flagfall: $3.20, then $1.617 per km and $0.566 per minute if the speed is below 21 kmh. A 20% surcharge applies at night (0000-0500). Taxi Companies: Silver Top Taxi Tel 131 008. North Suburban Taxis 131 119. Geelong Radio Cabs (03) 5278 8888. SkyBus to the city centre: SkyBus operates a regular service from outside terminals 1 & 3 to Southern Cross Station in Spencer St in the city centre (CBD) 24 hrs a day. Route: Airport T3 - Airport T1 - Southern Cross Station. Skybus Hotel Connection: Free Pick-up from hotels to Spencer St Station and return is offered Mon-Fri 0600-2130 & 0730-1730 at weekends (Call the day before). Timings: Buses depart the airport (T1, T3 & T4) daily every 30 mins from 0100-0400, then every 10-15 mins until 0100. Buses depart Southern Cross Station, Bay 50 (Spencer St) every 30 mins 0130-0430, then every 10-15 mins until 0130. Transfer Times: From T3 ~25 mins. From T1 about 20 mins. Cost: A$18 adult one-way, $28 return. Family ticket 1 (1 adult + 1-4 children): $24 one way, $40 return. Family ticket 2 (2 adults + 1-4 children): $38 one way, $65 return. There is a bus stop and ticket booth outside terminals 1 & 3. Tickets can be bought on-line also. Contact: Tel 9600 1711. Hotel pick-ups must be reserved the day before travel. SmartBus #901 to Frankston: Route: Airport Terminal 4 - Gladstone Park Shopping Centre - Broadmeadows Station (10 mins, catch a train here to central Melbourne) - Roxburgh Park Station - Epping Station - McDonalds Rd - Greensborough Shopping Centre - The Pines Shopping Centre - Blackburn Station - Ringwood Station - Knox City Shopping Centre - Stud Park Shopping Centre - Dandenong Station - Jayco Dr - Kananook Station - Frankston Station. Timings: Buses depart the airport Mon-Fri every 15-30 mins or so 0430-2131. Saturdays every 30 mins 0525-2131. Sundays every 30 mins 0630-1800. Buses do depart the airport later, but do not go all the way to Frankston. Buses depart Frankston Mon-Fri every 15-30 mins 0446-2049. Saturdays every 30 mins 0549-2106. Sundays every 30 mins 0645-1815. Buses do depart Frankston later, but do not go all the way to the airport. Transfer Times: To Epping 50 mins, Blackburn 2:10, Frankston ~4 hrs. Airport Bus Eastside: Departs from the bus stops opposite Intl arrivals on the ground level. Route: Airport - Coburg - Preston - Heidelberg - Doncaster - Box Hill - Blackburn - Mitcham - Ringwood. If arranged beforehand, door to door service is possible. Timings: Buses depart the airport Mon-Fri at 0700*, 0800, 0900, 1000, 1100, 1200, 1315, 1445, 1545, 1700 & 1915* (*these services must be pre-booked and paid the day before). Saturdays & Public Holidays: 0800*, 0900*, 1200*, 1445*. Sundays: 0800* & 1200*. Contact: Despite booking being required for some services, I could find no telephone number. Local Buses: Local buses also run to various parts of Melbourne including Geelong, Ballarat & Dandenong. General: Shuttle vans depart from the bus stops opposite Intl arrivals on the ground level. Timetables are posted there. There are information desks in arrivals where tickets for shuttles can be bought. Star Bus Shuttle: Runs a door to door service from the terminals to hotels in the city centre, North Melbourne, Carlton & Docklands. Cost: 2 passengers $35 one way, each extra passenger $15. Tickets can be booked from Traveller's Services Desk in the arrivals area of terminals 1 & 3 from 0800-2100. For return bookings call (03) 8336 6111, preferably the day before travel. Timings: Shuttles Run 0600-2000. Contact: Tel 8336 6111. Sunbus: Runs buses from both the International & Domestic terminals to Melbourne Central Business District (CBD), St Kilda & Carlton, door to door. This service must be pre-booked at least 48 hrs in advance on + 61 3 9689 6888. Takes 25-30 mins to the city and 50 mins to St Kilda. Adult one-way fare $20. Children (4-14) $14. Eastside Bus Lines: Provide regular scheduled bus services between the airport and Melbourne's North and Eastern suburbs including: Bayswater, Blackburn ($23), Boronia, Box Hill ($23), Chirnside Park ($36), Coburg ($18), Croydon ($36), Doncaster ($23), Endeavour Hills ($40), Glen Waverley ($36), Heidelberg ($18), Kallista, Knox City ($36), Lilydale ($36), Mitcham ($26), Monbulk, Montrose, Olinda, Preston ($18), Ringwood, Rowville ($36), The Basin, 0'Yarra Valley & Dandenong Ranges. They also offer home drop offs and pickups to most of the above suburbs. Contact: Tel +61 (0)3 9729 7622. Southside, Westside & Northside Buses: Run to the approprite suburbs of Melbourne. Frankston & Peninsula Airport Shuttle to St Kilda etc: Runs a door to door shuttle to St Kilda & the Southern Suburbs. Route: Airport (Ground level opposite Intl Arrivals) - St Kilda (Hotels & Packpackers) - Elsternwick - Moorabbin - Cheltenham (Southland) - Mentone (Hub) - Chelsea - Frankston - Mt Eliza - Mornington - Rosebud. Timings: Buses leave the airport Mon-Fri at 0615, 0800, 0830, 0900, and every 30-60 mins until 2030. Weekends & Holidays at 0715, 0930, 1030, 1215, 1355, 1555, 1655 & 1900. Cost: To St Kinda $18, Frankston $34. Contact: (03) 9783 1199. Bendigo Airport Service: operate 3 bus Services a day, 7 days a week to Bendigo. Bookings Essential. Route: Airport - Gisborne (30 mins) - Woodend Post Office (45 mins) - Kyneton PO (60 mins) - Malmsbury PO (1:15) - Taradale PO (1:25) - Castlemaine Taxi Rank, Mostyn St (1:30) - Harcourt V Line Bus Stop (1:40) - Bendigo Transit Centre (2 hrs). Timings: Services leave Melbourne Airport at 0830, 1330 & 1800, arriving in Bendigo 2 hours later. Buses leave Bendigo at 0600, 1045 & 1545. Cost: Adult fare Melbourne - Bendigo A$38 or $65 return, Harcourt & Castlemaine $35 one way, $65 return. Taradale & Malmesbury $28/$55, Woodend & Gisborne $25/$48. Concessions are available for Seniors, Families, Students & children. A separate charter is available for groups of 10 or more. Contact: Tel +61 (03) 5439 4044. Ballarat Airport Shuttle Bus: Route: Runs to Ballarat Railway Station with optional stops in Melton, Bacchus Marsh & Ballan. Timings: Buses leave the airport Mon-Fri at 0645, 0745, 0930, 1230, 1430, 1700 & 1915. On weekends & Public Holidays at 0730, 1230, 1500 & 1915. Contact: Tel (03) 5333 4181. Dandenong Airport Bus: Buses run to St Kilda Hotels, Caulfield, Carnegie, Clayton, Dandenong, Oakleigh, Berwick, Chadstone, Monash Uni & Cranbourne. Timings: Buses leave the airport Mon-Fri: 0730, 0930, 1130, 1330, 1500, 1730 (not Fridays) & 1900. Saturdays: 0930, 1130, 1330 & 1830. Sundays: 0930 & 1830. Airport Direct to Shepparton, Nagambie & Seymour: Route: Airport - Seymour (1:25) - Nagambie (1:45) - Shepparton (2:15). Timings: Buses leave the airport daily (except Sunday morning) at 1045 & 1615. Buses leave Shepparton at 0800 (not sundays) & 1330. Bookings are essential. Contact: Tel (03) 5831 7374 or 0417 545 967. Gull Airport Service to Geelong: Route: Airport - Werribee (must be pre-booked) - Corio Village - Geelong Railway Station (must be pre-booked) - Geelong, 45 McKillop St (70 mins). Timings: Buses leave the airport Mon-Fri at 0620, 0740, 0840, 1005, 1115, 1215, 1340, 1500, 1615, 1735, 1855, 2025 & 2200. Saturdays: 0550, 0730, 0845, 1015, 1150, 1340, 1500, 1650, 1840, 2025 & 2200. Sundays: 0625, 0815, 1015, 1150, 1340, 1500, 1615, 1735, 1855, 2025 & 2200. Buses leave Geelong Mon-Sat 0425-2035 every hour or so. Sundays 0500-2035 every 90 mins or so. Services before 0800 must be pre-booked. Cost: Airport - Geelong: $25 ($45 return), same day return $35, children (3-15 years) $15 ($27 return). Airport - Werribee: $15 ($27 return), same day return $22, children (3-15 years) $9 ($16 return). Contact: Tel (03) 5222 4966. Western Metropolitan Airbus to the Western Suburbs: Operates subject to prior arrangement to 3 different zones: Zone 1: Avondale Heights, Kealba, Keilor, Keilor Downs, Keilor East, Kings Park & St Albans. Zone 2: Albion, Ardeer, Ascot Vale, Braybrook, Deer Park, Highpoint City, Kensington, Flemington, Footscray, Maidstone, Maribyrnong, Newmarket, Seddon & Sunshine. Zone 3: Altona, Altona Meadows, Altona North, Laverton, Newport, Spotswood, Westona, Williamstown & Yarraville. Contact: For Bookings call (03) 9311 1228. By Tram: Tram #59 runs from the city centre (Flinders St station) via Essendon to 'Airport West'. This is not the airport terminals, but a suburb a few km away. Trams run Mon-Sat 0530-0000 every 4-20 mins. Sundays 0730-0000 every 8-30 mins. On-Airport Rental Car Providers (T1 & T3): AVIS (03) 9338 1800, Budget (03) 9241 6366, Hertz, EUROPCAR 9241 6800 & Thrifty all have desks in the baggage area of both domestic terminals (T1 & T3). The cars are in the car parks opposite. There are NO rental car or other travel facilities in the Intl terminal. On-Airport Rental Car Providers (T4): AVIS (03) 9338 1800, Budget (03) 9241 6366, Hertz, EUROPCAR 9241 6800 & Thrifty all have desks in a portacabin in the Express car park next to the Tiger Airways Terminal. There are NO rental car or other travel facilities in the Intl terminal. Short Term: The short term car parks are across the road from terminals 1, 2 & 3. Cost: First 20 mins $3, 20-40 mins $6, 40-60 mins $12, 2 hrs $18, 3 hrs $20, 4 hrs $30, 10 hrs $40, 24 hrs $45. Each extra day $45. Long Term: Remote Long Term: 1 day $25, 2 days $40, 3 days $50, 4 days $60, 5 or 6 days $65, 7 days $69, 8 days $85, 9 days $99, 10 days $105. Each extra day $5. Shuttles for Long Term parking leave from the front of each terminal. Multi-Level Long Term: 1 day $45, 2 days $90, 3 days $95, 4 days $100, 5 days $110, 6 days $120, 7 days $140. Each extra day $20. This car park is levels 3, 4, 5 & 6 of the car parks opposite terminals 1 & 3. Express Car Park: An Express Car Park is next to T4 (Tiger Airways Terminal). Cost: First 20 mins $3, 20-40 mins $6, 40-60 mins $12, 2 hrs $18, 3 hrs $20, 4 hrs $30, 10 hrs $40, 24 hrs $45. 2 days $90, 3 days $125, 4 days $160, 5 days $195, 6 days $230, 7 days $265. Each extra day $35. Weekend Special: $49 must enter after 0900 on Friday and leave before 0200 on Monday. Southern Business Parking: Weekend special $40. Call (03) 9297 1383. Valet Parking: QANTAS operates a valet parking service. 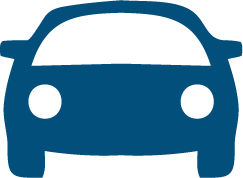 Airport to Airport: To Avalon Airport by road 64 km/40 Miles. Airport Hotels: The Hilton Hotel is connected to T1 & T2 by a walkway. Holiday Inn has a courtesy shuttle but is close enough to walk if needed. Formule 1 Motel (8336 1811) is connected by a pathway (5 mins). Quality Hotel & Park Royal Hotel are both also close. The Best Western Airport Hotel in Attwood has a shuttle for guests. Baggage Storage: SmarteCarte operate a Left Luggage facility in Terminal 2 Intl Arrivals. Cost: Hand luggage: 0-3 hrs $7, 3-24 hrs $11. Suitcases: 0-3 hrs $9, 3-24 hrs $15. Notes: Travellers' Services has desks in both domestic terminals (T1 & T3) offering hotel bookings and selling tickets for the Starbus Shuttle. Wireless internet available in the main terminals at a cost. Baggage Carts are available for $4. Money Services: ATMs/Cash Machines in all terminals including the Tiger Airways Terminal. Bureau de Change/Foreign Exchange is available in Terminal 2 (Intl). Airport tel No: +61 (0)3 9297 1600. Updated Nov13 Visit. Last Visit Nov13.